Australian mare Viddora has finished fourth in the Al Quoz Sprint won by Blue Point in Dubai. Viddora has fared best of three Australian horses in the Group One Al Quoz Sprint in Dubai when fourth behind Godolphin’s Blue Point. Following the disappointment of 12 months ago, the five-year-old went on to win the King’s Stand at Royal Ascot and lined up for the Al Quoz on Saturday (Sunday AEDT) after successive wins at Meydan. “He had to dig a little bit deeper tonight, but he did it,” Buick said. Appleby said Blue Point would be given a break and be prepared for a defence of the King’s Stand. 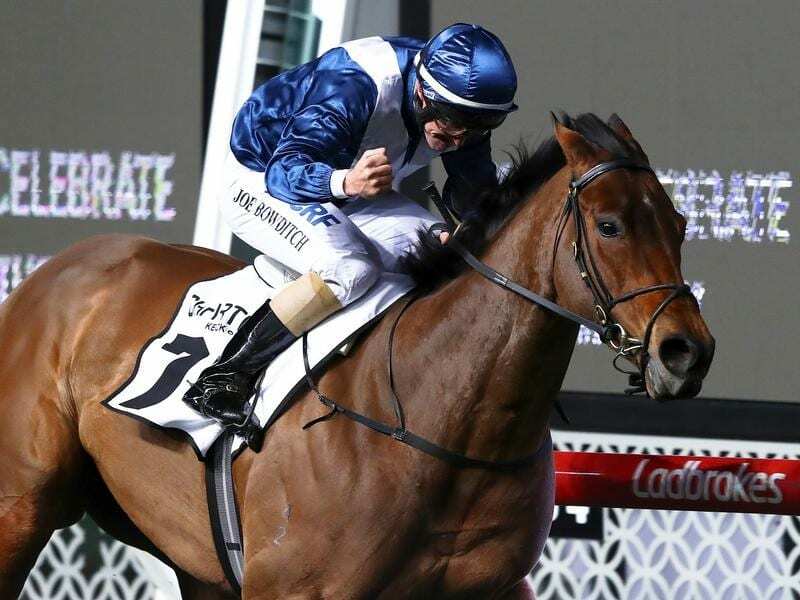 Viddora’s trainer Lloyd Kennewell has indicated the mare will now head to Hong Kong for the Chairman’s Sprint and then Royal Ascot. “So proud of our star mare Viddora to run a cracking 4th in a very fast run 1200 #AlQuozSprint . Thankyou to everyone for there (sic) support and messages and to all that helped get her here! Watch this space for her next run #worldtour” Kennewell Racing said on Twitter.